“Bon-sai” is a Japanese term which means “planted in a container.” By definition bonsai is a very small tree or shrub that is grown in a pot by using special methods to control its growth and train to an artistic shape. According to the Bonsai Empire (ref: www. bonsaiempire.com) this art form is derived from an ancient Chinese horticulture practice, part of which was redeveloped under the influence of Japanese Zen Buddhism. 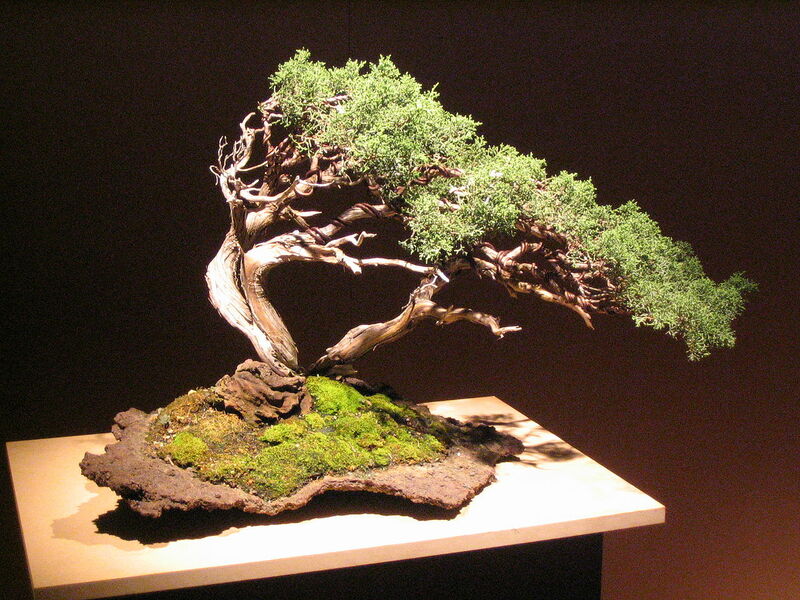 There are many styles and shapes of bonsai limited only to the imagination and craft of the artist. A bonsai plant artist from the Albuquerque Bonsai Club will be providing demonstrations and information on the art of bonsai on location at Garden #4 on May 14, 2016 during the garden tour.